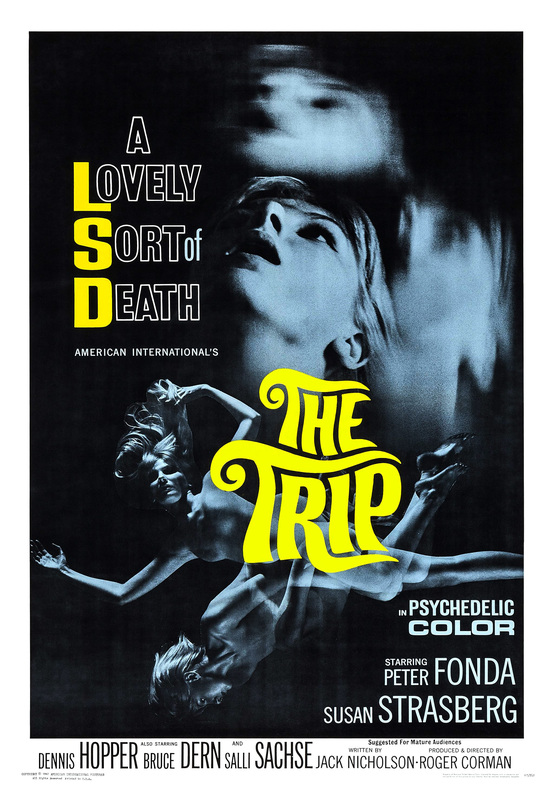 Roger Corman’s The Trip (1967) begins with a nice, healthy warning about the dangers of illicit psychedelic drugs. Because drugs are bad and you will immediately die if you take them! Just in case you wanted to run out and obtain some LSD from Dennis Hopper after watching this multicoloured, kaleidoscopic pseudo-nightmare. I don’t have much to say about The Trip. As a film, it’s somewhat mediocre. 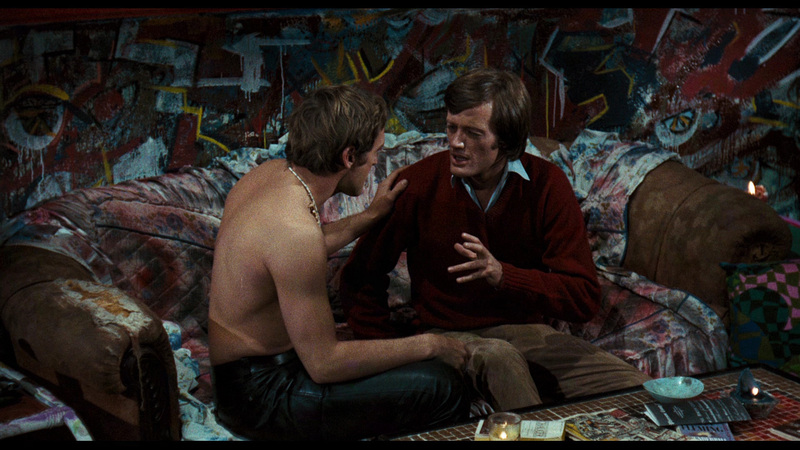 We watch a man (the beautiful Peter Fonda) take some LSD in order to understand life a little bit better, within the context of a busy work life and a troubling divorce. The script was written by Jack Nicholson (yes, the one you’re thinking of), and the dialogue is astoundingly bad – almost as if someone had said, “Quick – speak in as many 60s counter-culture drug cliches as you can in 90 minutes!”. But speaking as someone who wasn’t alive at this point in time, perhaps I’m missing out on some of the cultural context. 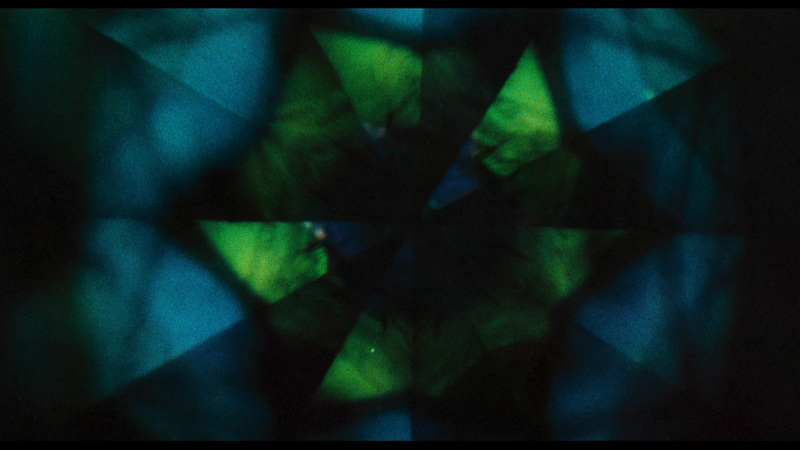 As Peter Fonda’s character explores the world around him whilst tripping off his face, however, we are treated to some of the most beautiful and crazy visuals this side of actually taking LSD. It was this aspect of the film that I enjoyed the most. Creatively, The Trip is an absolute stunner. The psychedelic visuals, through the use of brightly coloured, swirling and geometric lights, photographic effects, glowing body paint, quick cutting and surreal imagery, are really quite beautiful and entrancing. Some of the surreal imagery in particular is really freaky – imagine being spaced out on psychedelic drugs and being chased by two hooded Grim Reaper figures on dark horses through a desolate beach landscape into a smokey cave. Imagine looking into a washing machine at a laundromat and seeing brightly coloured beautiful ladies spinning inside. Horrifying yet beautiful at the same time. All of this is coupled with an exotic, improvisational jazz/blues music by Mike Bloomfield and The Electric Flag, which really puts you in the middle of it all. In this way, whilst The Trip is kind of lame as a narrative film, but as a visual essay on what it looks and feels like to be on psychedelic drugs, it’s pretty good. It can’t be denied that this film has significant cultural value given that it very artistically captures a moment in time in the late 60s, during the height of the counter-culture hippie movement, where psychedelic drugs were increasingly of interest. Perhaps the film’s cultural significance and artistic integrity in creating these amazing trippy scenes outweighs the film’s shortfalls. Still, it’s not a bad film to watch if you don’t have anything else on. A very worthy addition to my Blindspot series.